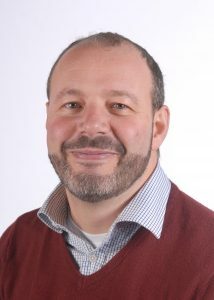 Dr Bertotti has 15 years work experience in research and evaluation and led a wide range of research projects commissioned by research councils as well as local government and NHS organisations. He applies multiple conceptual frameworks to researching community health and integrated care, with particular focus on evaluating the effectiveness and cost-effectiveness of non-clinical interventions. Marcello uses innovative evaluation methodologies and methods to solve health issues and tackle health inequalities. Marcello has developed significant expertise in the evaluation of social prescribing with evaluations for Newham, City and Hackney and Waltham Forest CCGs. In particular, with funding from the Health Foundation, he led the evaluation of a social prescribing pilot for City and Hackney CCG, one of the largest social prescribing schemes in the UK to date. Marcello is steering group member of the Social Prescribing Network (SPN) which unites over 1,000 health professionals, researchers, practitioners, commissioners, and citizens to exchange valuable practice and develop social prescribing in the UK.